Though separated by thousands of miles, Japan and Israel are closer than you might think; Mayor Barkat lauds ties at fascinating event. Japan and Israel: "Close neighbors"? This article is the first in a unique series in honor of Japanese Culture Week. 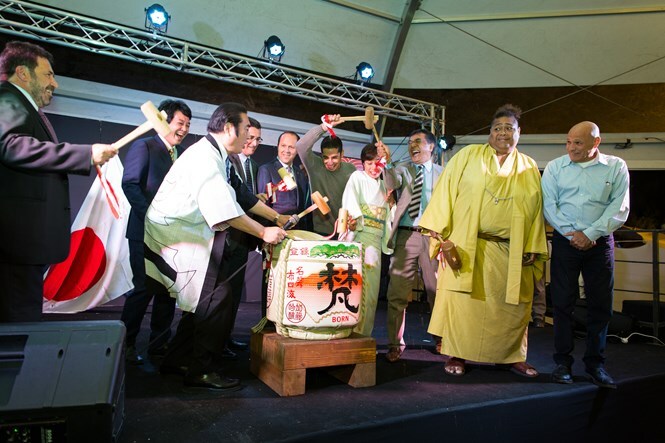 Jerusalem held the official opening ceremony of Japanese Culture Week on Monday, as the Israeli capital became awash with the culinary, musical and visual experiences of the Land of the Rising Sun – it’s “close neighbor” according to the visiting senior Japanese minister. The festivities took place in Jerusalem’s First Station located south-west of the Old City, where Arutz Sheva was on scene to speak exclusively with the visiting dignitaries and unique artists who made the long journey from Japan. Japanese Deputy Foreign Minister Sonoura Kentaro was the guest of honor for the night, and accompanied by Japanese Ambassador to Israel Shigeo Matsutomi he was welcomed by Jerusalem Mayor Nir Barkat and Interior Minister Gideon Sa’ar (Likud) in a beautifully lit outdoor area, replete with booths handing out Japanese sake (rice wine) and sushi. After several musical performances, Barkat took the stage, lauding both Jewish and Japanese culture and history as being “so rich” and “completely different” from anything else in the world. 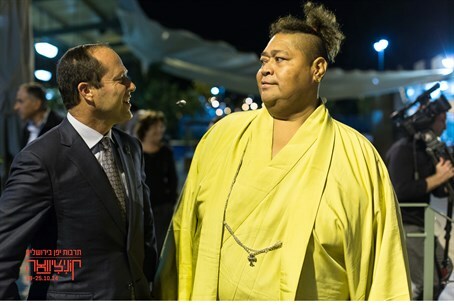 Barkat’s Jerusalem Municipality initiated the week-long event which is set to be an annual occurrence highlighting different world cultures, and which significantly began this year with a focus on Japan as Israel continues to grow strong ties with the powerful Asian island nation. The mayor ended with a blessing of “next year in Jerusalem,” calling for the honored guests from Japan to come again, and likewise for a “Jerusalem week” to be held in Tokyo as the bilateral ties continue to blossom. Indeed, those unique ties were highlighted in July, when Israel became the first country with which Japan signed an Industrial R&D (research and development) Collaboration Agreement, following Prime Minister Binyamin Netanyahu’s visit to Japan in May. Next to speak was Sonoura, the Deputy Foreign Minister of Japan’s ruling Liberal Democratic Party (LDP), who praised the event for strengthening bilateral ties - Sonoura was himself a member of the senior delegation that visited Israel in July to seal the R&D Agreement. 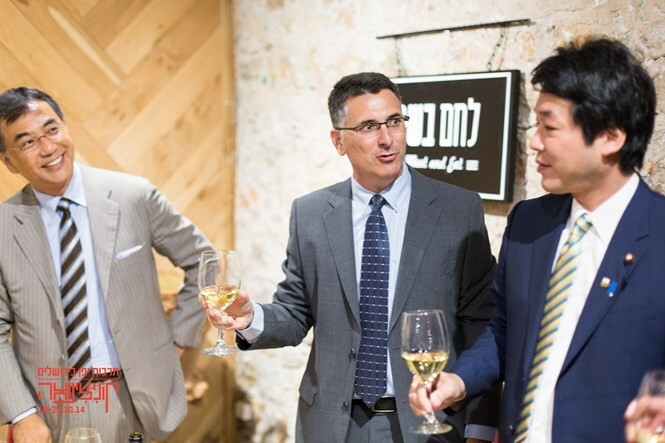 He gave several examples of Israeli businesses that are succeeding greatly in Japan, including the cosmetics company Sabon and chocolatier Max Brenner, and likewise called for more Japanese products to enter Israel. “I, as a member of the Japanese government, will make efforts so that Japan and Israel become countries that can be considered as close neighbors,” pledged the minister, to warm applause. According to Sonoura, a highlight of Japanese culture is wa, the concept of harmony and peace that is emphasized in the culture. “I strongly hope this Japanese concept spreads in the Middle East and contributes to regional peace,” said the minister. Speaking to Arutz Sheva and other news outlets after descending from the stage, Sonoura noted on the long history between Israel and Japan, as demonstrated in the March 2011 Great East Japan earthquake that struck the Tohoku region, to which Israel immediately sent a medical support team. He also mentioned former Japanese Ambassador to Lithuania Chiune Sugihara, the “Japanese Oskar Schindler” who during World War II issued visas to thousands of Jews fleeing the genocidal Nazi machine. Following up on his statement calling for working holiday visas, Sonoura gave several reasons why Israelis should visit Japan, including the safety and stability of the country, the diverse Japanese culture and ancient history that can be appreciated there, as well as the beautiful natural scenery and vistas. Remarking on the ties between the “two eternal nations,” Sa’ar noted that Israel is starting to “slowly climb the mountain of Japanese culture” as evidenced in the week’s events, and also build strong bilateral ties through a series of visits by senior diplomats of the two countries – but he stressed that the most important aspect of the relations are the ties between the people.